Ahead of its release on June 7th, Milestone has released a brand new gameplay trailer for MotoGP 18. The Italian developer has also outlined every new feature that will make MotoGP 18 the best game in the series yet. 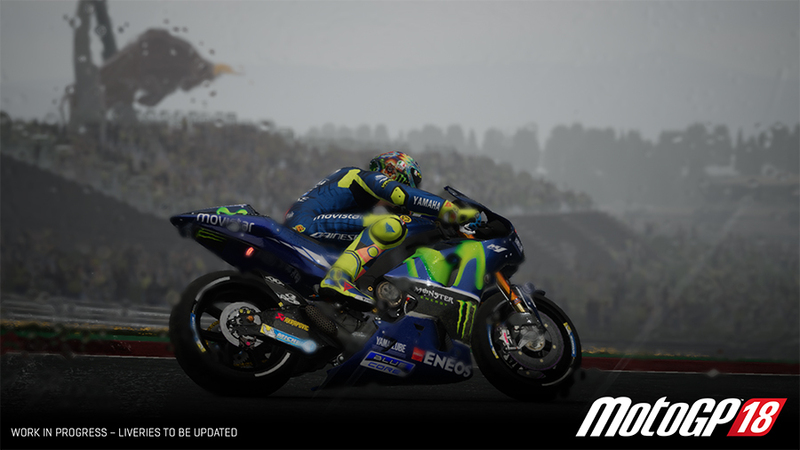 Described as a reboot for the series, MotoGP 18 has been developed from the ground up, and will feature a new engine, enhanced graphics, reworked physics, and a compelling career mode. 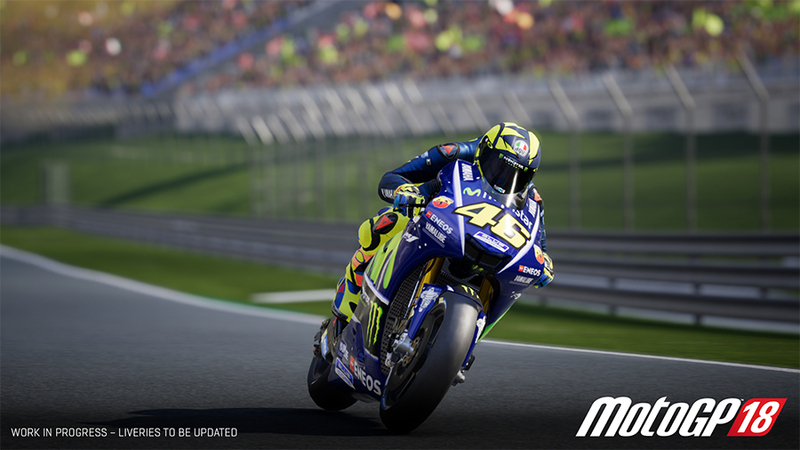 Milestone says these elements will combine to make MotoGP 18 "the most immersive and realistic MotoGP™ experience ever". Without further ado, here's everything you need to know about MotoGP 18. 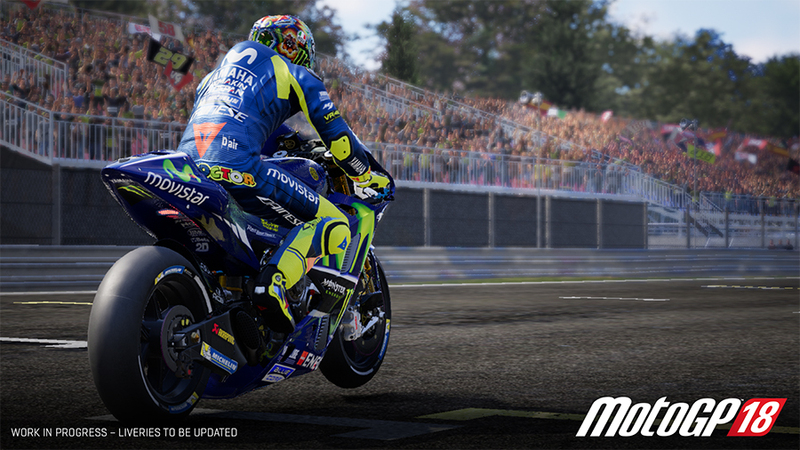 For the first time in the series since MotoGP 13, MotoGP 18 won't be running on Milestone's in-house engine. Instead, it will be powered by the Unreal Engine 4 engine, which will bring similar improvements to what we saw in last year's MXGP 3. Expect radically more realistic lighting on tracks and bikes, as well as improved particle effects and weather effects. In addition, Milestone has used 3D scanning technology to accurately recreate the likeness of every MotoGP rider's face through a structured light 3D scanner that can read the curves and colour of their faces, producing a real-time 3D model that was later refined by artists. Thanks to a new Drone Scanning System, every track has been remodelled and faithfully recreated with accurate altimetry. MotoGP ID also presents the player with performance statistics and details that can be compared with other online players. Each player can access an overview of the number of hours played, plus the number of races, poles, wins, podiums and more. Online multiplayer also finally has a spectator mode, allowing you to follow other players with different cameras to make you feel like you're watching a live MotoGP race. Available viewpoints will include TV-style cameras positioned alongside the track and on-board first-person views. New interactive tutorials have also been added. Divided into three levels, these will teach the player about acceleration, braking and how to manage trajectories. AI performance has been also been improved. Milestone says there will be more scalability to the AI difficulty to suit your ability and riding style: applying the highest difficulty level will present a greater challenge than previous games. For the first time in the series, MotoGP 18 will feature aesthetic and functional damage affecting both the rider and bike, meaning that mistakes will have more consequence. Depending on the level of simulation applied, the bike's can be terminally damaged if you fall off too many times. Tyre management will be a fundamental factor in MotoGP 18. Consumption indicators will let you check the state of your tyres during practice sessions, qualifying rounds, and races. Adapting your riding style to maintain optimum tyre conditions will be crucial. Career progress will be highlighted with a reputation system that shows how popular your rider is in the MotoGP world. Reputation increases depending on race positions and team objectives. The higher your reputation, the more likely you'll secure a contract from a prestigious team. Bike components can also be enhanced to create a bike tailored to your riding style. Engines can be tuned to focus on acceleration or top speed, brakes can be modular or aggressive, the suspension can be tweaked to improve cornering angle or braking stability, the frame can be enhanced to improve stability at speed or agility when changing direction, and aerodynamics can be adjusted to achieve greater stability or higher speed.